Oh no! (insert gasp) don't tell me that is the actual lens? 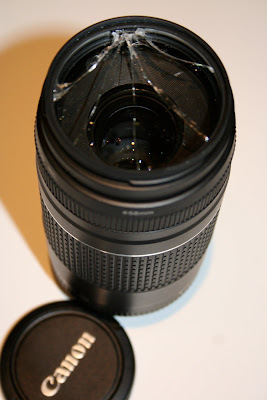 I did that last spring but I always have a lens filter on all of my lenses so that was what broke and not my actual lens. I needed someone to gasp with me, thanks! I had a lens cap on and it still broke! Oh Renee, I am so sorry! I promise you, we all do it, if not with a camera lens, certainly with something else. In my case, a dish that belonged to my grandma, who meant the world to me, and is since passed on. I could hardly breathe. uuuuuggggh. Oh,blast and tarnation; that stinks! I hope the remainder of the week was better for you.